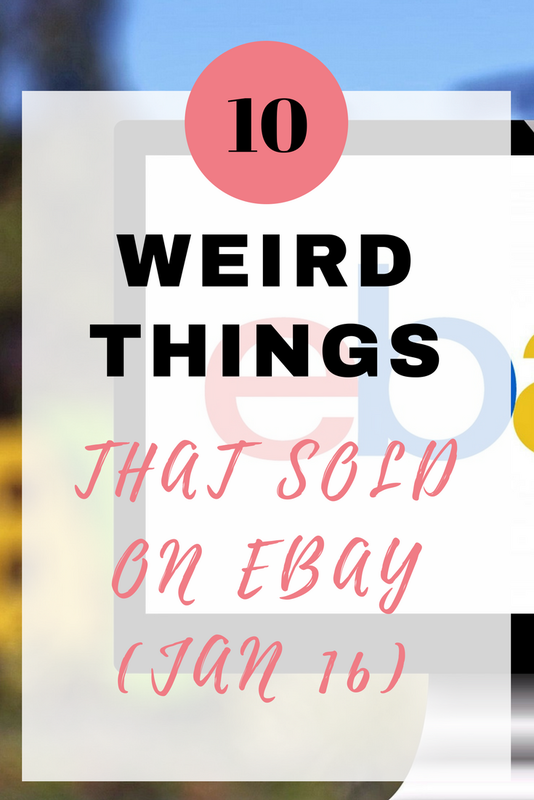 One of my favourite features every month is finding out what weird sh!t sold on eBay during the month, and January didn't let me down! 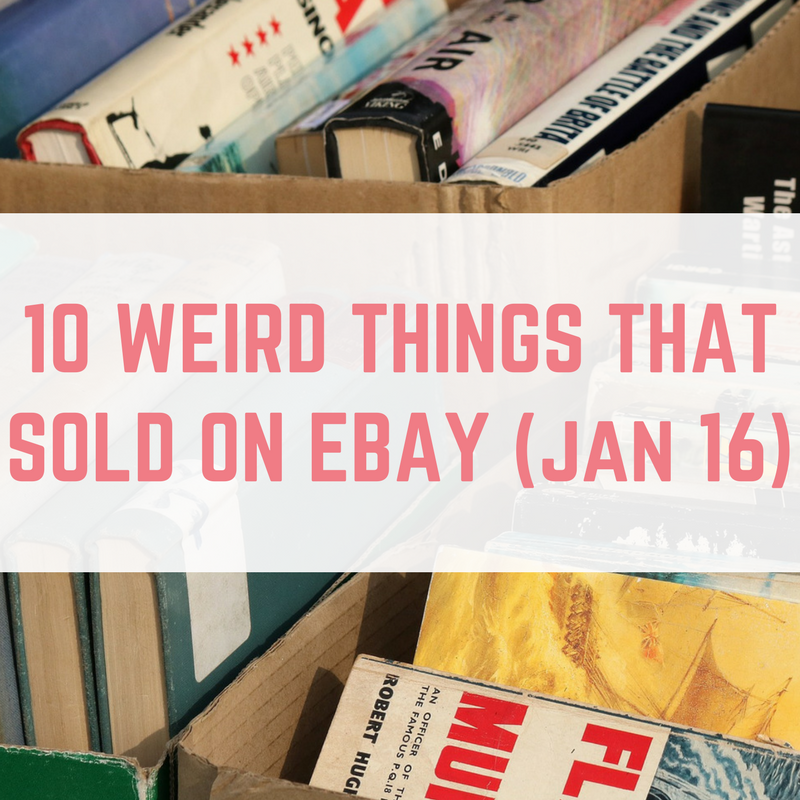 Here are 10 weird things that sold on eBay in January 2016. Kicking things off (get it?) we have this pair of used socks which sold for £12 and £3.30 postage. These well worn (and let's face it, trashed) shoes sold for £12.99 with £2.80 postage. Be sure to check out my guide to selling your old shoes on eBay. This ripped Paul Smith paper sold for £1 plus £1.20 postage. This broken edition of Perfection fetched £9.99 plus £2.99 postage. This taxidermy Star Wars themed squirrel…I can't decide if it is amazing or the stuff of nightmares. Either way, it fetched £37 plus £4.50 postage. These broken doll's heads went for £21.62 with over £8 postage. Old VHS video players are still selling on eBay – this one went for £30.13 and £9.99 postage! I think my Dad has about five of these laying around so I'll definitely be listing them for sale! This broken CD player sold for £10.50 with another £10.49 postage. Keeping with the retro theme, these empty video cases sold for £5 plus £3.40 postage. This shopping trolley sold for £25! 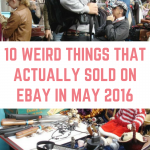 Have you spotted any weird eBay sales this month? OK I have no idea if I love or am completely creeped out by that Squirrel haha! I’m so faciniated by the people who buy old socks. I’ve got so many odd socks. Maybe I should wear wear them and sell them haha! If you do then report back! I’d love to know how you got on! OMG I am shocked about the smelly old shoes! I have lots of old shoes in the loft. Perhaps I should get the them listed on eBay. Definitely!!! You do attract some weird questions but think what you could do with that money! They take a million years to write but they’re so much fun! Hahahaha, this made me laugh! 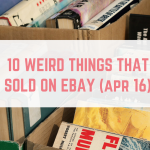 Some of these are so weird. I mean whaat. Those shoes and socks, really?! Gross! Lol who would sell used socks that is so weird haha! Some people will buy anything if it is cheap! Hahaha this post made me laugh! The Star Wars taxidermy squirrel is crazy! Gosh, folk buy the strangest things! I ought to start listing things on ebay instead of giving them to the charity shop! Ughh the socks – gagging over that one! Mine are looking a bit worn out, maybe I should Ebay them?! I did sell 20 empty Lush pots for £14 including postage this week – quite pleased with that one! They can be traded in for £24 worth of fresh face masks, which is a great deal, but my skin is very sensitive to essential oils so I can’t use Lush skincare sadly! Well done, that’s a nice amount! It always amazes me what people will sell on Ebay – although it does often give me ideas too! Thanks for sharing this. I sold a dummy holder twice last week on eBay. Weird or what? 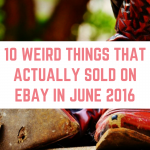 The used socks and the broken dolls heads have to be the weirdest things on this list! LOL, used socks. These items suddenly don’t make me so ashamed of having bought some very-much-used and old Barbie dolls with ugly, tangled hair and torn clothes online a few years ago. Granted, I’m blind so I didn’t see the pictures. Great post! It’s unbelievable what people actually purchase on the internet these days! What a crazy list! So many odd things there. Omg?? Old socks and shoes?? Wow that’s crazy. That VHS brings back the old days haha. Now I feel old lol. 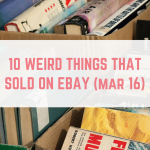 I haven’t shopped at eBay for a while now and don’t think I’ll be going back anytime soon hehe.